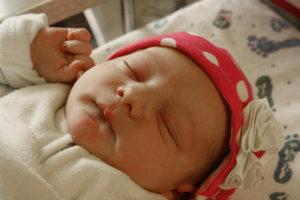 International Virtual Learning Academy is pleased to announce the arrival of Baby Eliza! This sweet bundle makes her debut as daughter of our very own Andrea Gardner and her husband, Levi. Mrs. Gardner joined our IVLA family this year as a middle school and high school science teacher and mentor. After her maternity leave, she will be back doing what the IVLA family does best – helping kids learn!